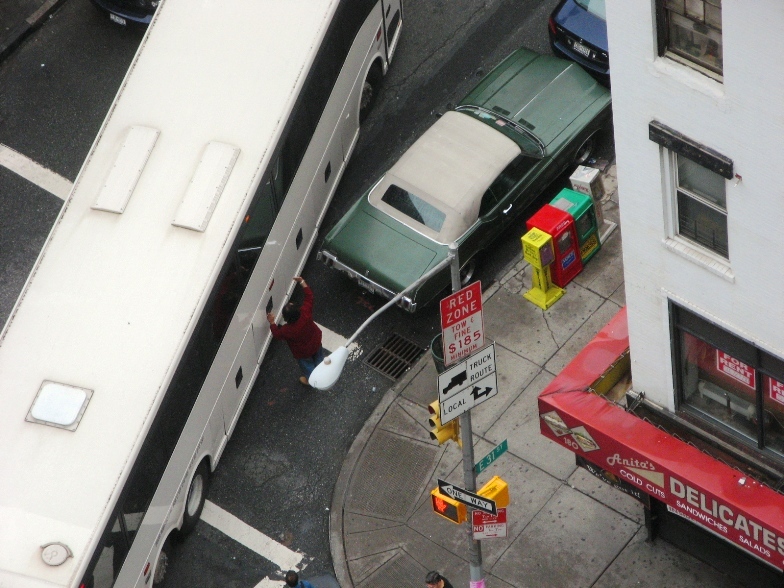 With careful precision, this huge bus tried to get around this car. But, alas, failed in his efforts. And THEN, just drove away.